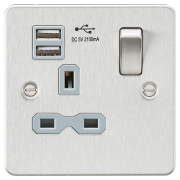 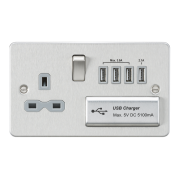 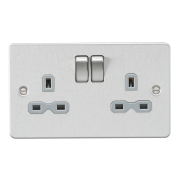 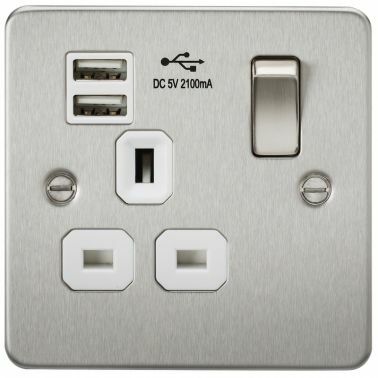 Below is our range of Switches and Sockets available to buy online - We stock a vast array of types, styles and finishes, ensuring we'll always have products available which are suitable for your type of room and requirements. 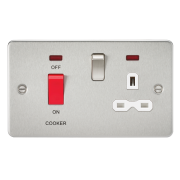 Whether looking for a cheap white moulded switch or socket, or for something more decorative such as a stainless steel or chrome finish, we offer a range to suit. 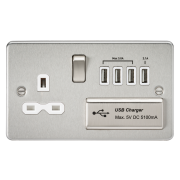 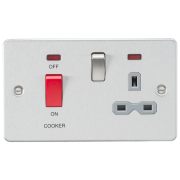 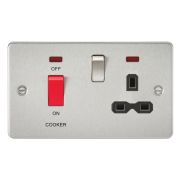  We also provide switches and sockets which are more ideal for industrial or outdoor installations - just click on the relevant sub category below to filter your product search further.